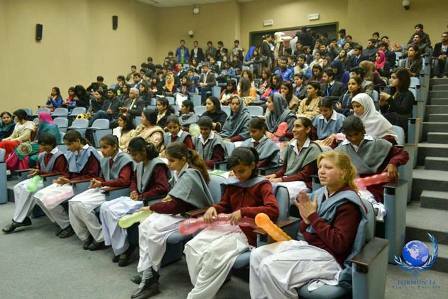 At FORMUN’14, the delegates were able to be part of an eye-opening event- the Social Responsibility Program (SRP) Held on the 17 January 2014. At FORMUN, we believe in serving humanity without discrimination. To discriminate on the basis of superficial things like race, skin colour or class is a foreign concept to us and we believe that it should be universalized. We hope to promote this sentiment as well as those of peace, humanity and brotherhood. The SRP was held with the help of the Rotaract Club at Forman Christian College, which is a part of Rotary International. 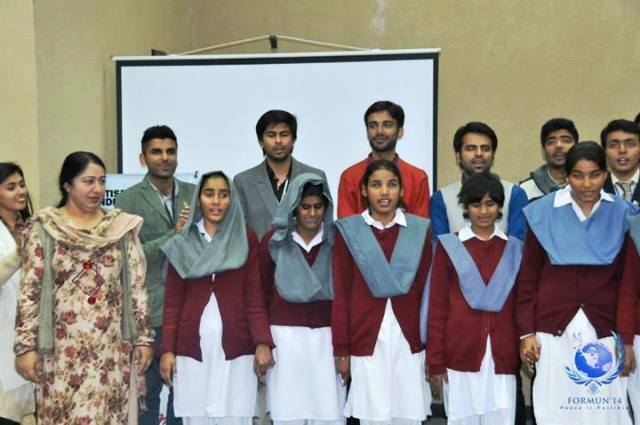 The Rotaract Club of Forman Christian College is famous for its community service projects and is a serving the community at large with the help of a lot of different projects. 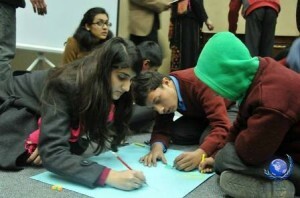 This year we were host to children form disabled children of Sadia Campus and Sunrise Institution. In this event delegates and the host team were able to interact with some children who are very special and beautiful. Even though they are deprived some basic abilities but they excel in many astounding ways. The human mind is blown by what they are able to do. This makes them shine out in not just their contemporaries but many of us just as well. At first, a young lady with a beautiful voice recited some verses from the Holy Quran. Then there came another lady who read a Naat which made the crowd mesmerized by the heartfelt tone and the beautiful words. Afterwards, some children sang songs for the crowd. Thereafter, there were some activities like thumb fight. After this there was an art competition in which the host team and the delegates participated in, helping them learn valuable lessons in non-discrimination. The event ended with the selection of the winner of the competition.